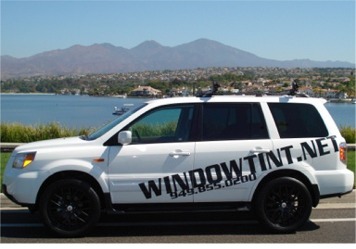 Safe-Sun Window Tinting is proud to serve the Southern California area since 1983. Here are a few testimonials from one of our distributors and some of our many satisfied customers. To Safe-Sun Window Tinting: "We would like to take this time to commend you on your dedication to the window film industry. Your high standards of quality stand above most other company's and it's this that keeps the Safe Sun name on a pinnacle and keeps in tune with the Madico label. We feel quite comfortable, to say the least, with referring you more of our delicate and sometimes more demanding jobs because we know it will be done right the first time. Again, thank you for all your hand work and perseverance." Its not often that I write a "Thank You" for services done in my home. 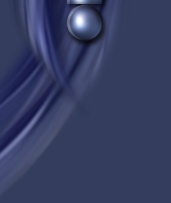 However, I feel that you went beyond what was reasonably expected and I want to say "I appreciate it"!! After receiving and comparing several bids for tinting of windows at my residence, I selected your services. I selected your services primarily because of your sincerity, price, and (unlike your competitors) you didn't tell me how bad your competitors were. I was right. When you did the installation, it was done quickly, efficiently, professionally and with minimal disruption. I am very pleased with the results. Unfortunately, I experienced a window breakage. Without question, you made all the necessary contacts, arranged for window replacement, paid for the new window, and re-tinted the new window. Again, I didn't do a thing. It was painless. What a difference the window tinting has made to our office. We can't thank you enough for recommending it to us. Before you installed the tinting it was miserably hot. Now it is much cooler with considerably less glare. We also appreciate the professional manner in which you took care of our business. You were always on time, explained the process thoroughly and left our office clean. Thank you for your window tinting. Recently, my two year old swung a plastic hammer and broke a window in the den. Instead of it breaking into the room and hurting him, the window stayed intact. Window tinting is great for sun-blocking and also baby proofing. I would like to take this opportunity to thank you for the great job you did on our windows. The window film has helped to greatly reduce the heat in our upstairs bedroom. We are looking forward to the energy savings this summer in Southern California. Thank you for your prompt and professional service. We would recommend your service to anybody looking for a high quality professional window tint company. If you or your customers need anymore assistance with your website optimization, let us know.